Woody Allen's acclaimed romantic comedy is getting a high-definition release before the end of the year. In an early announcement to retailers, Sony is working on 'Midnight in Paris' for Blu-ray on December 20. The movie starring Owen Wilson and Rachel McAdams is about a family traveling to the French capital for business, including a young engaged couple forced to confront the illusion that a life different from their own is better. The Blu-ray will feature 1080p video, an LCR 3.0 soundtrack, and supplements will include Midnight in Cannes and a photo gallery. 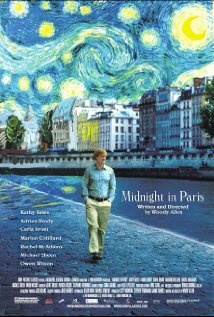 You can find the latest specs for 'Midnight in Paris' linked from our Blu-ray Release Schedule, where it is indexed under December 20.